He completed his Bachelor of Engineering in Electrical and Electronics Engineering from Rajiv Gandhi Technical University in year 2006 and M.Tech in Electrical Drives from NIT, Bhopal in 2010. He is eminent academician and researcher having teaching and research experience for more than 12 years. His researh area includes power system, power electronics, control system, macvhine learning, IoT, Arduino and artifical intelligence. 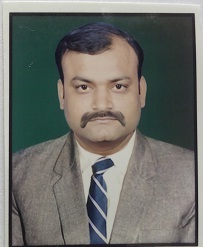 He is also technical reviewer of world's most prestigeous jpournals IEEE, Elsevier, Springer. He is professional member of IEEE and life time member of Institution of Engineers, India.